I can’t believe that it’s the middle of April already! I was really shocked when I saw my Topbox in the mailbox. Is it just me or do you feel like time whipped by so quickly. 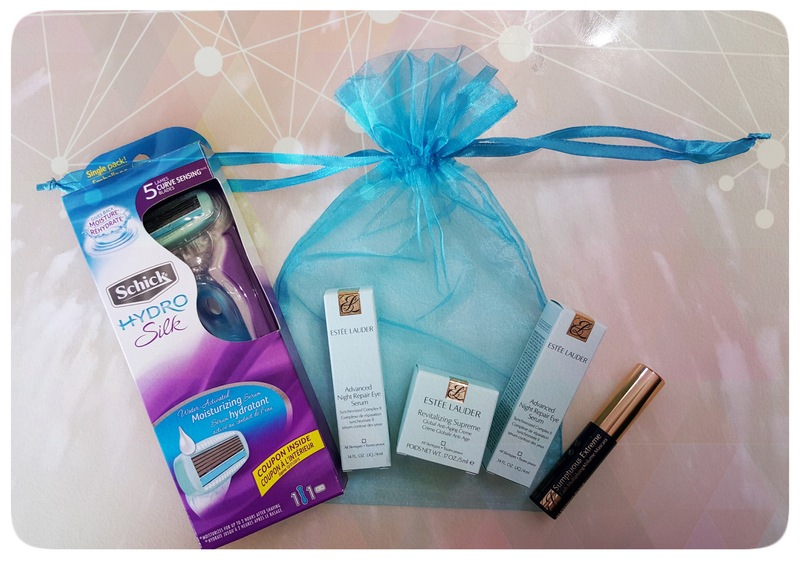 This month I swapped my surprise for the Estée Lauder Prive box. I really like the packing of the boxes. Maybe it’s because I never purchase Estée Lauder skincare I never really see how nicely they are put together. I like that I was sent two samples of this so that I can get a good feel for how I like it. 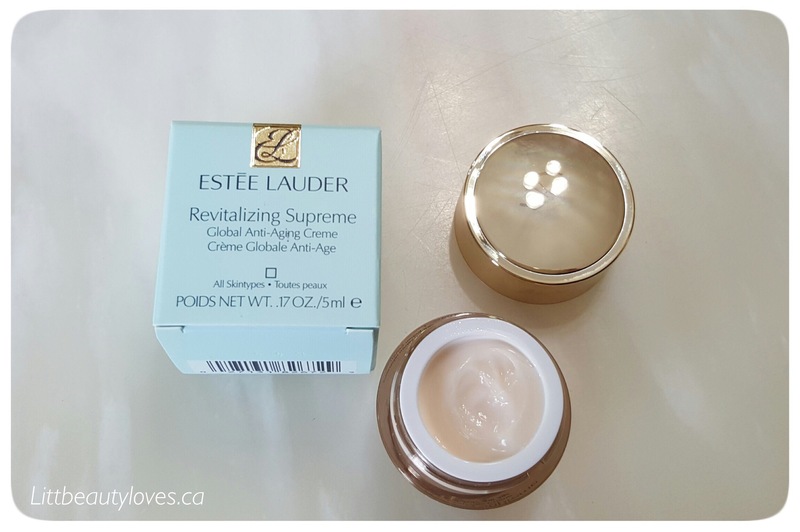 I have received other samples from Estée Lauder before that I was super happy with. The Advance Night Repair serum is one of my faves. This uses that same technology but is geared for the eyes. I like that this is a pump which will make application much easier. This is a moisturizer that is supposed to reduce the signs of aging. More cream, more cream! I really can’t get enough. I don’t think I’ve ever tried Estée Lauder mascara so we will see how I like it. The cone shape brush is interesting; it’s a really long applicator so we will see how well I can apply it to my lashes without making a mess. This was sitting outside my mesh bag so I think it was a bonus item given out to all subscribers. I don’t use Schick razers so I’m happy I get one to try out. This has a water activated moisturizing serum in the area surrounding the blades to add hydration as you shave which is great because I don’t use shaving cream on my legs. This also came with a $5.00 off coupon for refills and the box also came with a $4.00 off coupon for refills which is awesome! I’m so jealous! I wanted this box lol but didn’t get it unfortunately. Great products, especially for $12! Wow, that’s a generous sample of the EL eye serums – those 2 will honestly last you months! I really like that EL mascara – I was surprised how much volume it gave. No one talks about that mascara much but I guess it’s quite pricey. I really like the ability to choose a Prive box over a surprise, sometimes there are really good options (every month you can choose between 4-5 prives or a surprise), I like being able to go “yep, I want that” and pick a box instead, “ugh! what is this crap!” when it’s a surprise, haha! I’m soooo excite about the EL serum and cream. Good to know the mascara is good! I received Shhwarzhopf hair products for my Prive box. They work very well. You EL products look awesome. I love that brand! I received facial wipes for my $10 surprise item.